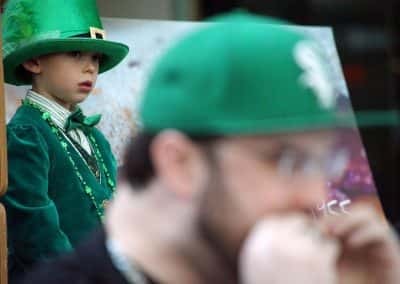 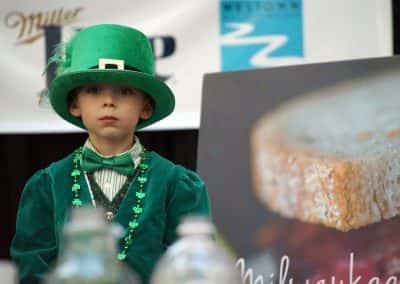 The 5th Annual Corned Beef Eating Contest, hosted by Jake’s Deli, kicked off Milwaukee’s St. Patrick’s Day parade festivities a day early on March 10. 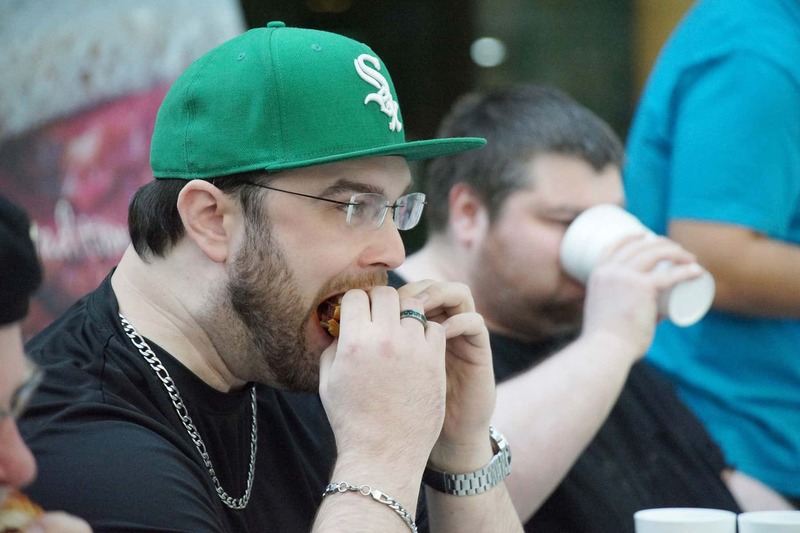 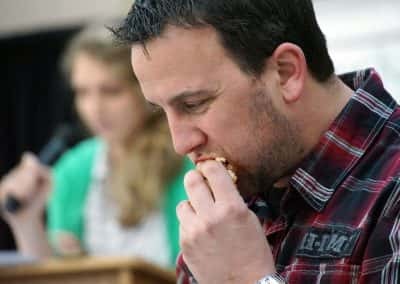 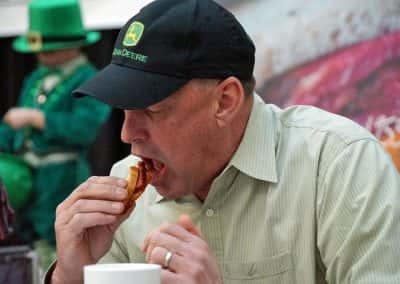 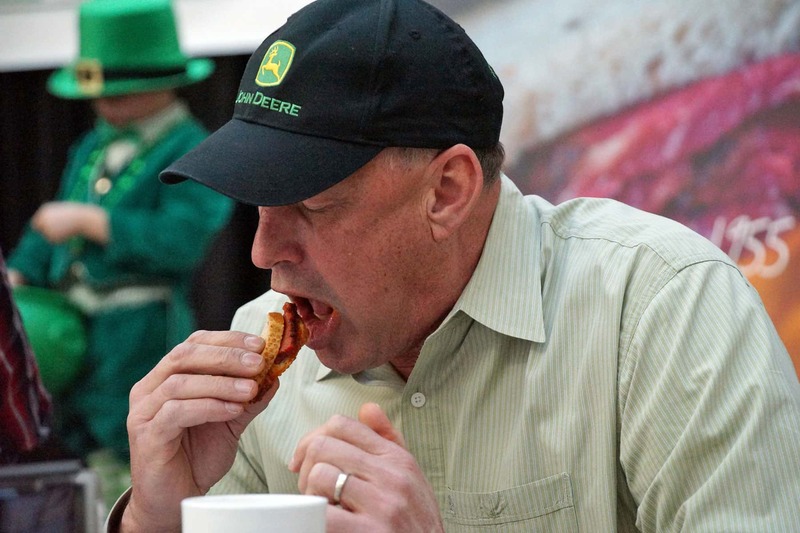 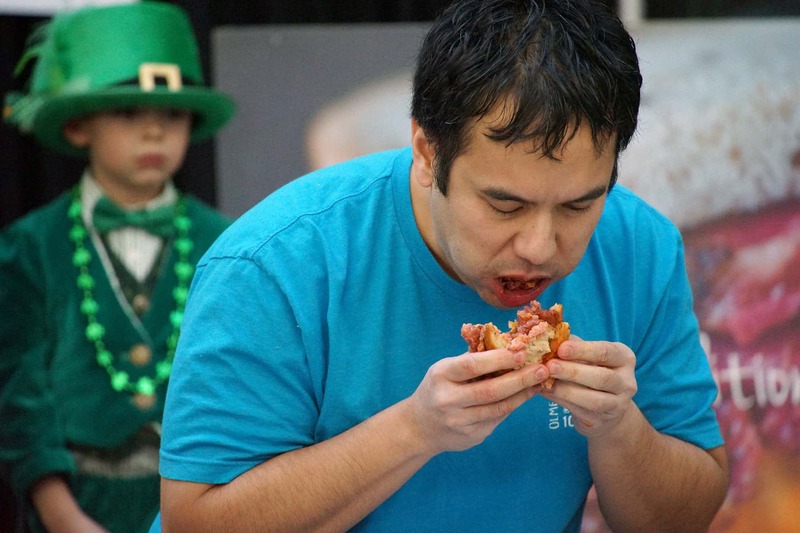 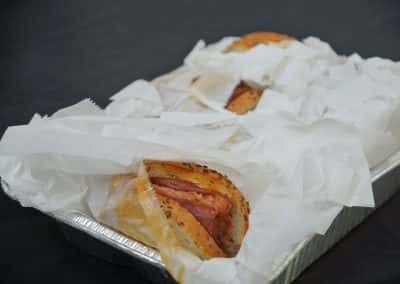 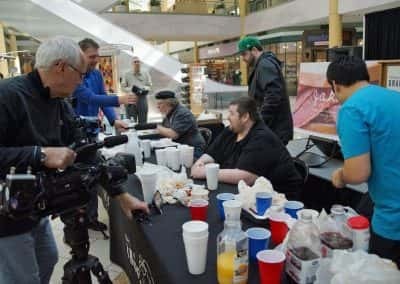 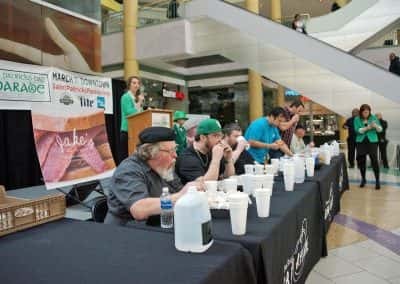 With a bit of rivalry from previous participants, contestants had to consume as many corned beef sandwiches as possible in 10 minutes. 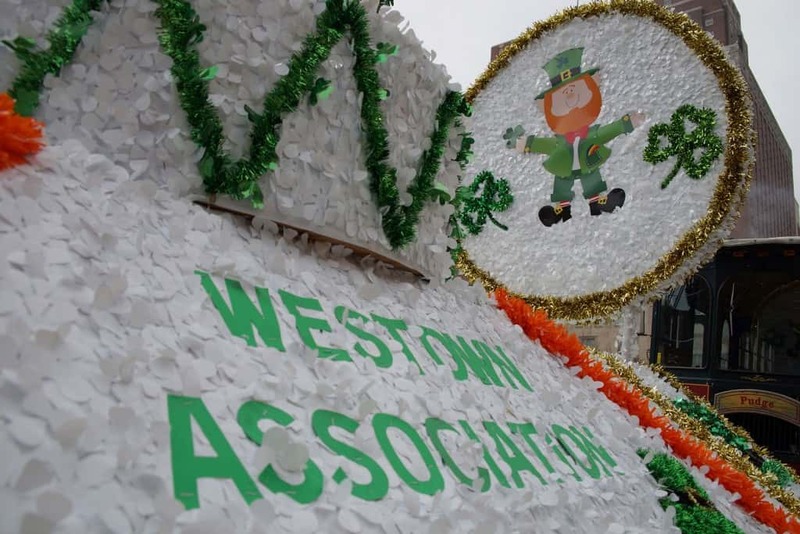 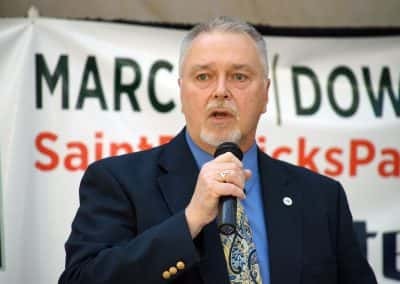 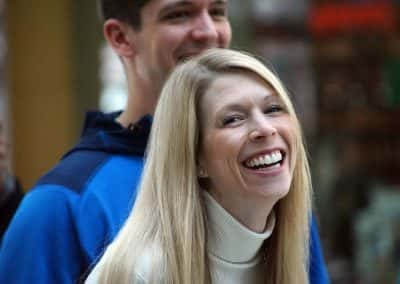 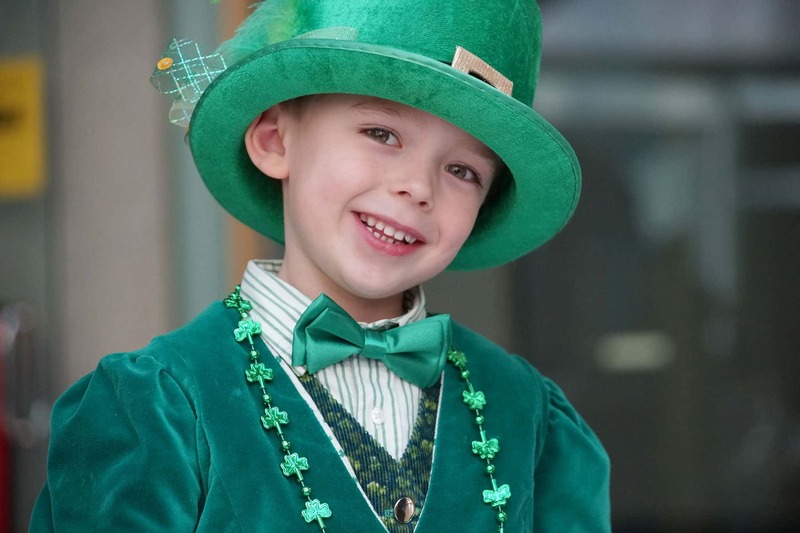 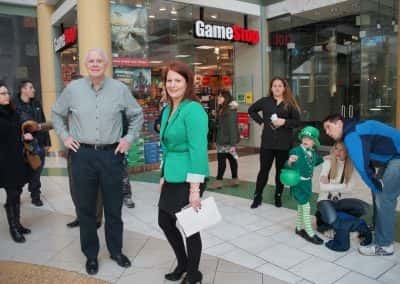 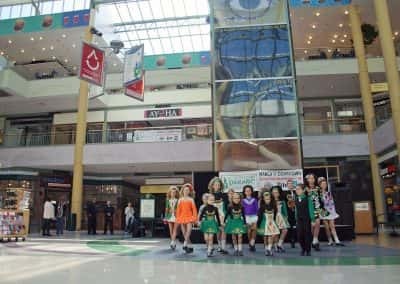 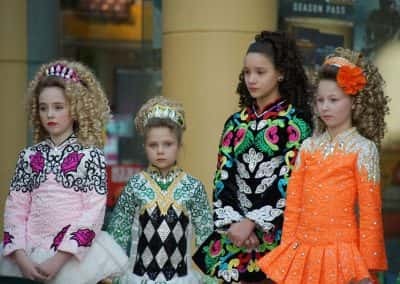 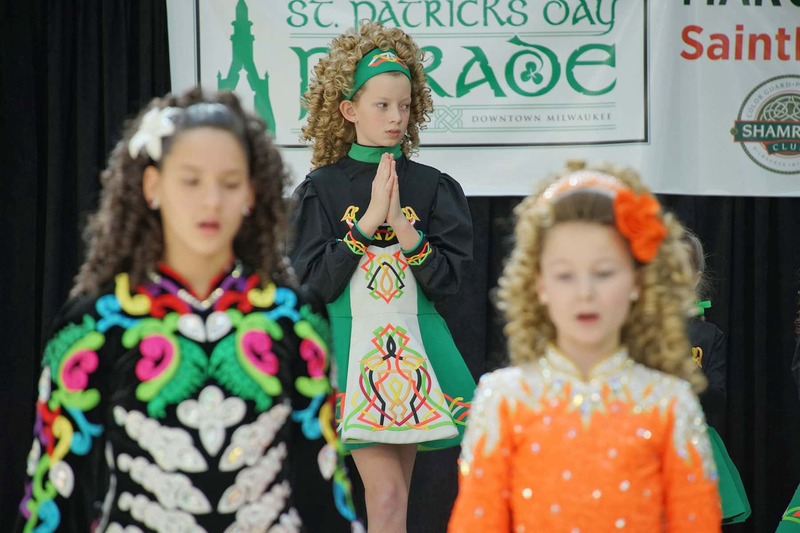 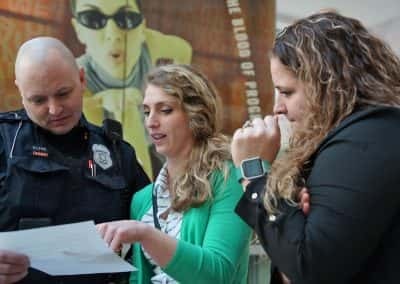 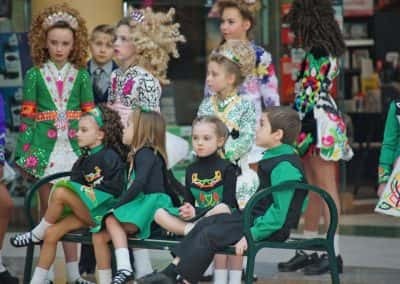 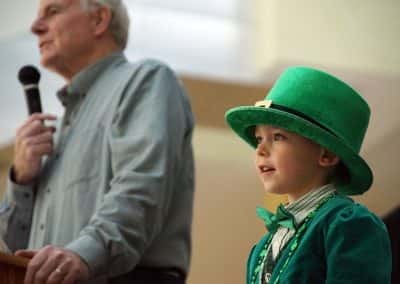 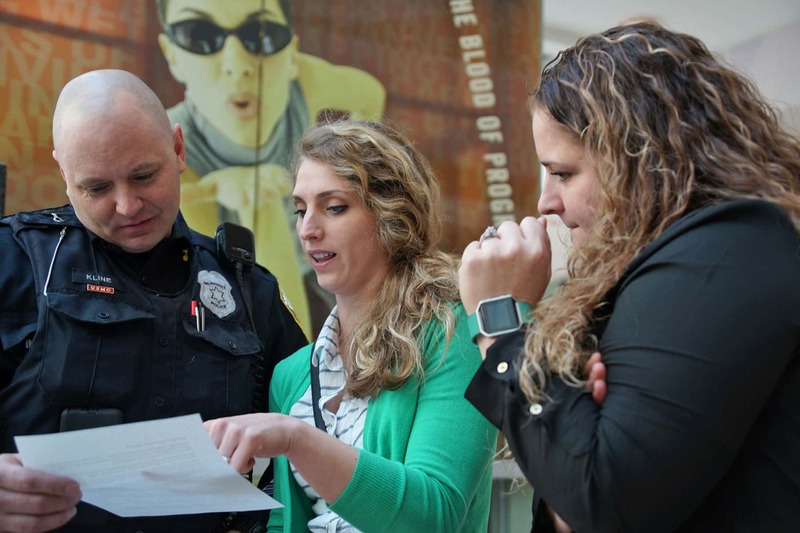 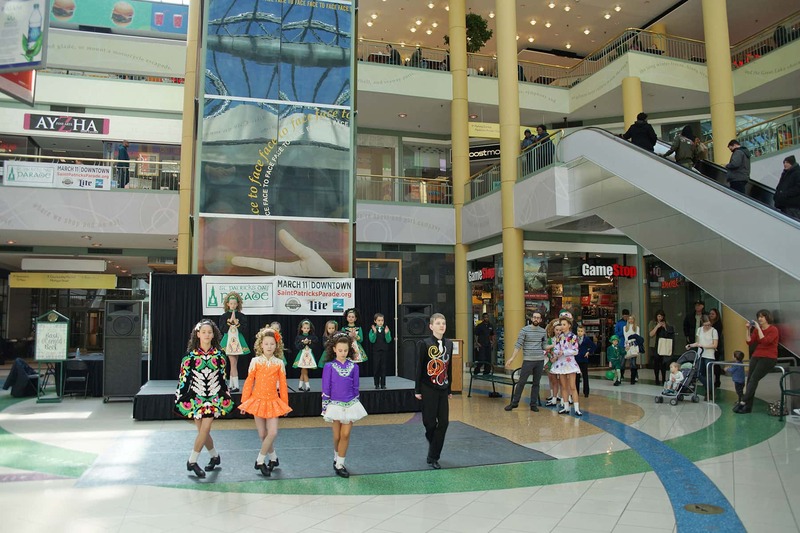 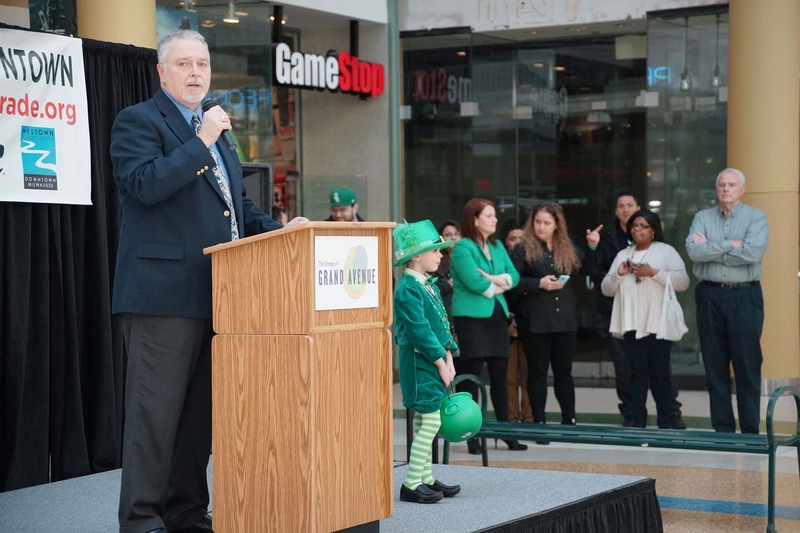 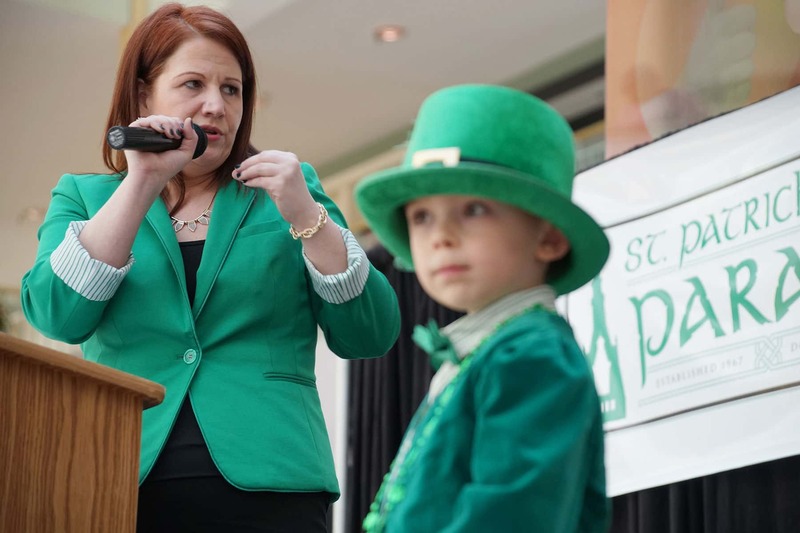 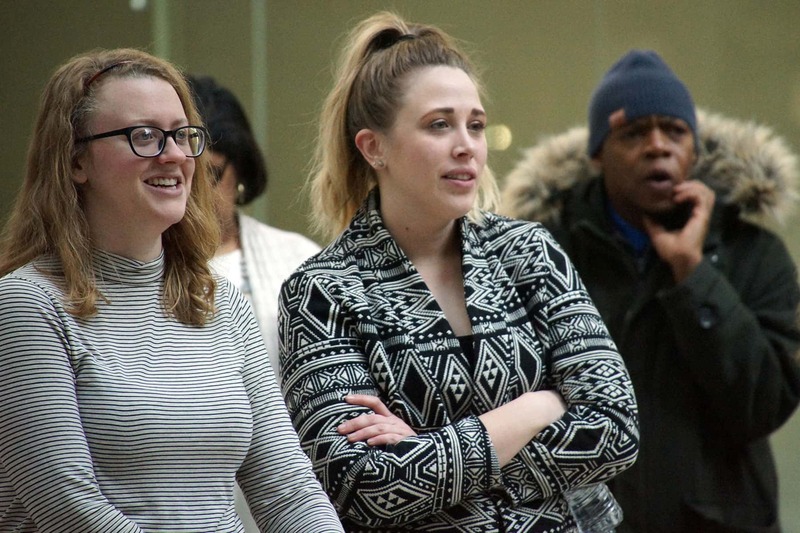 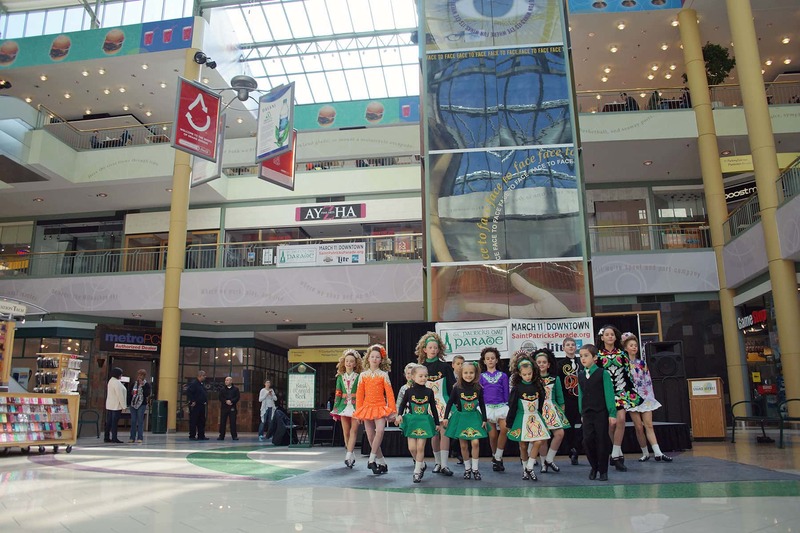 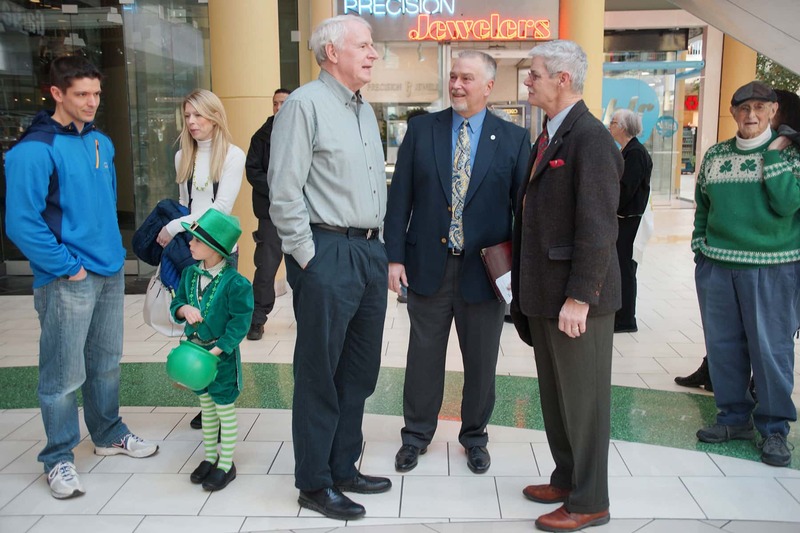 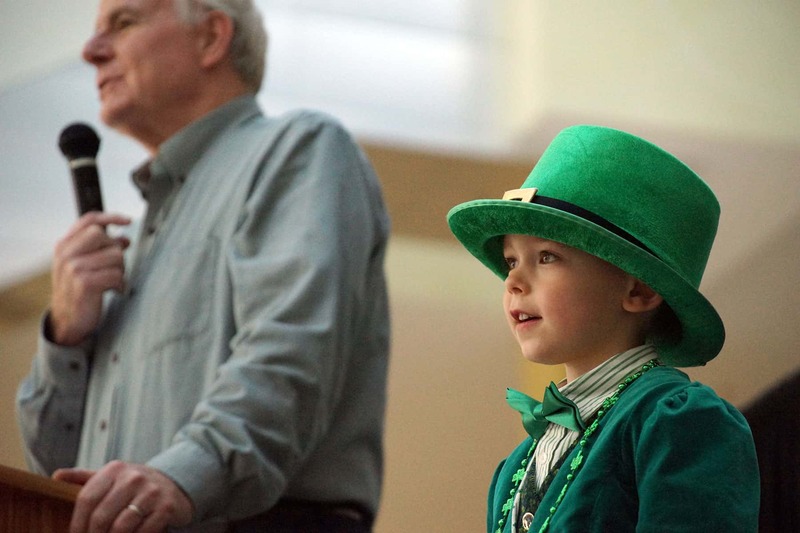 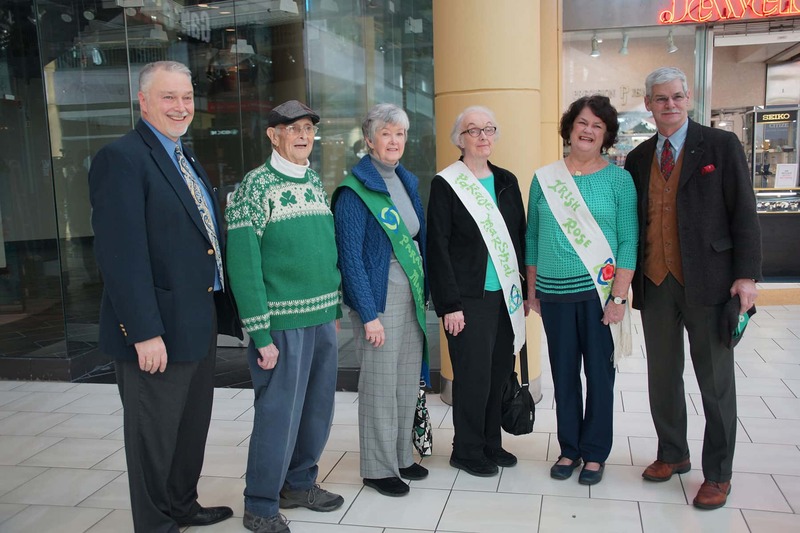 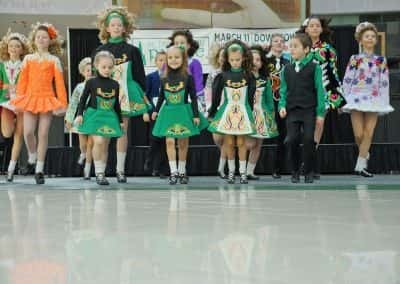 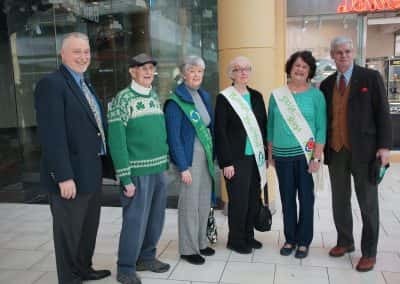 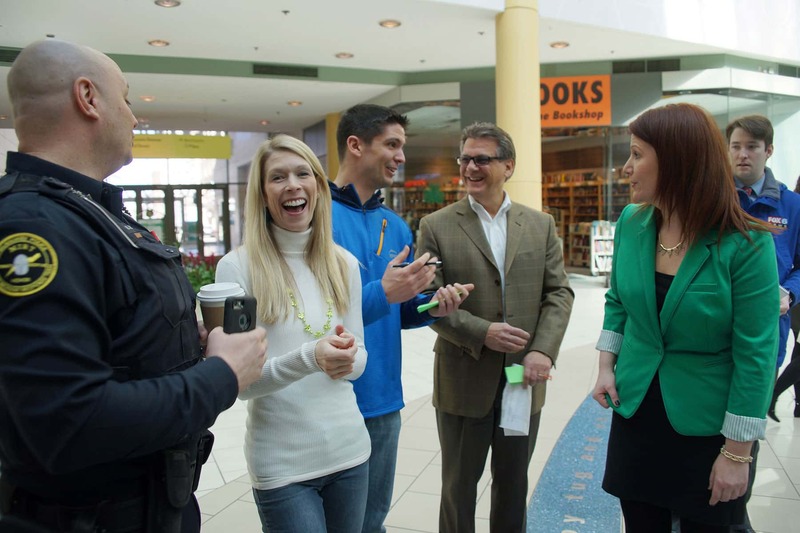 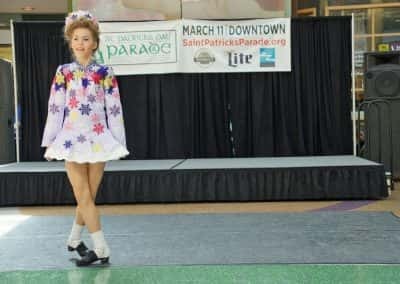 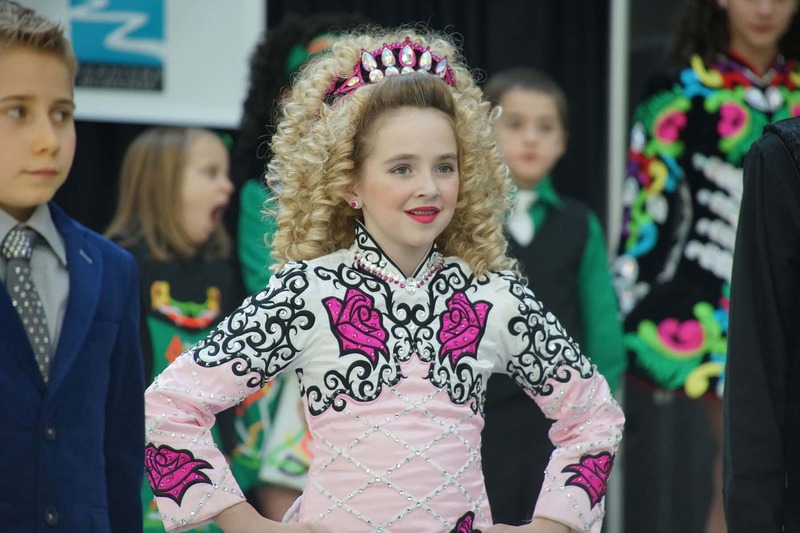 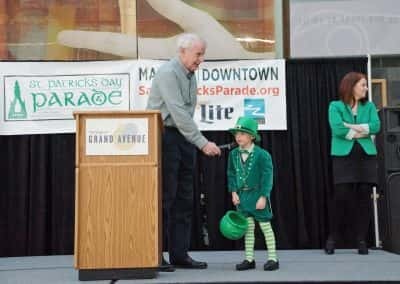 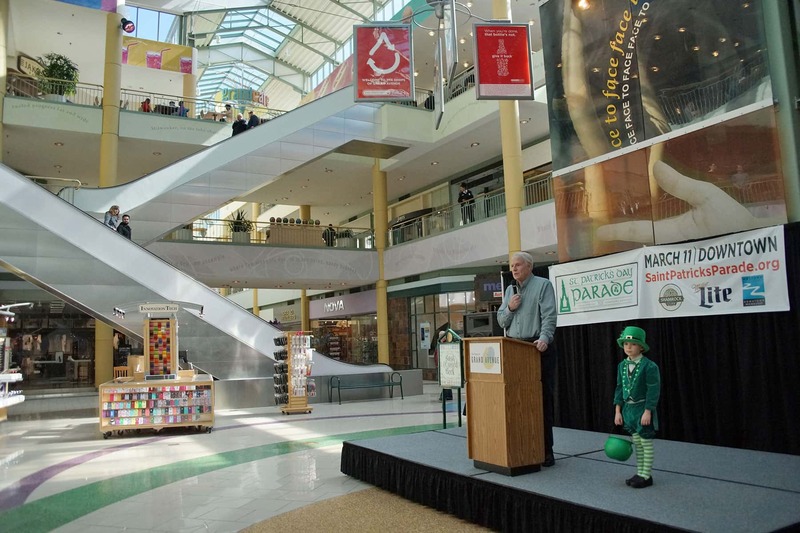 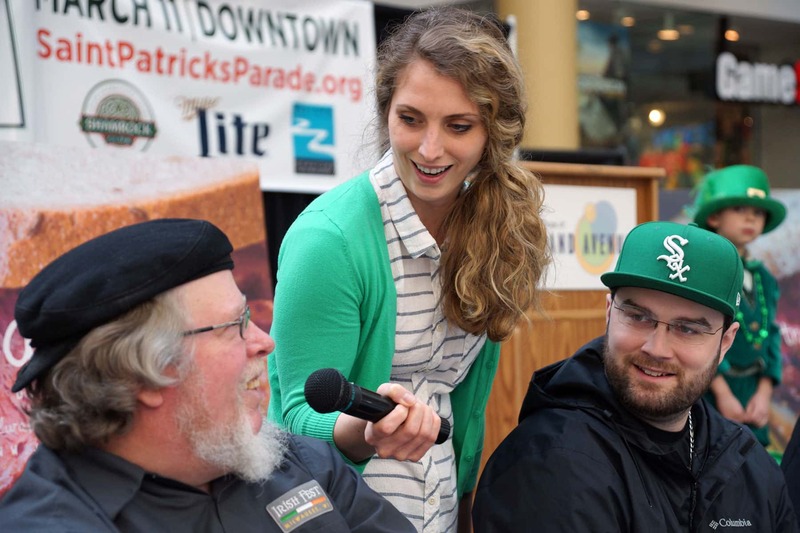 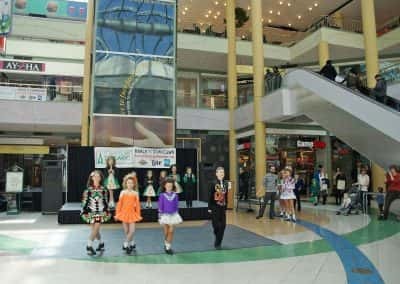 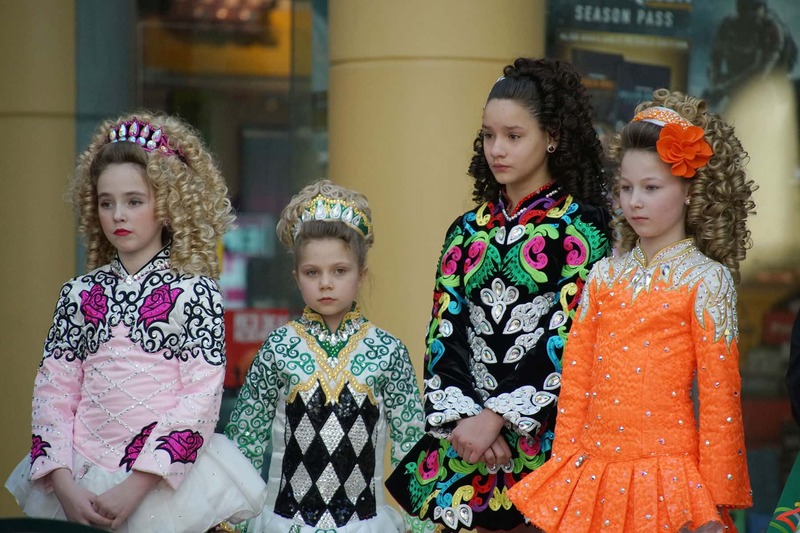 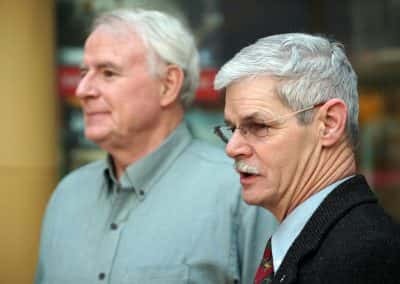 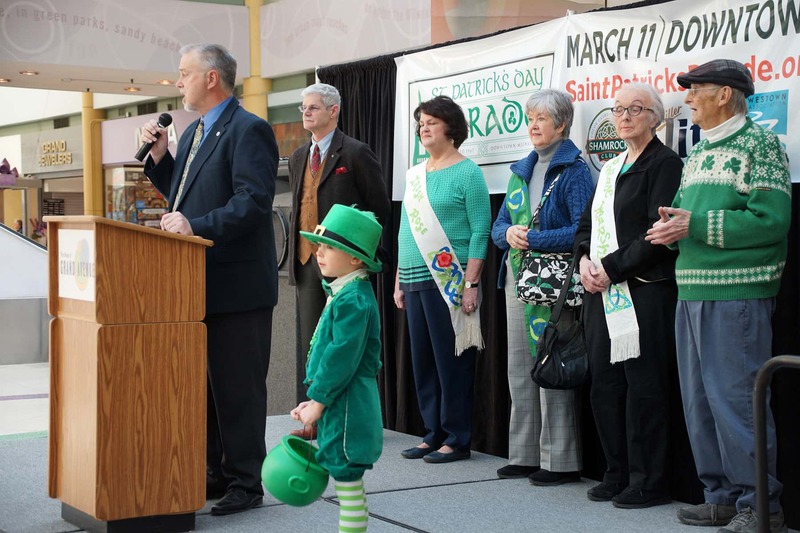 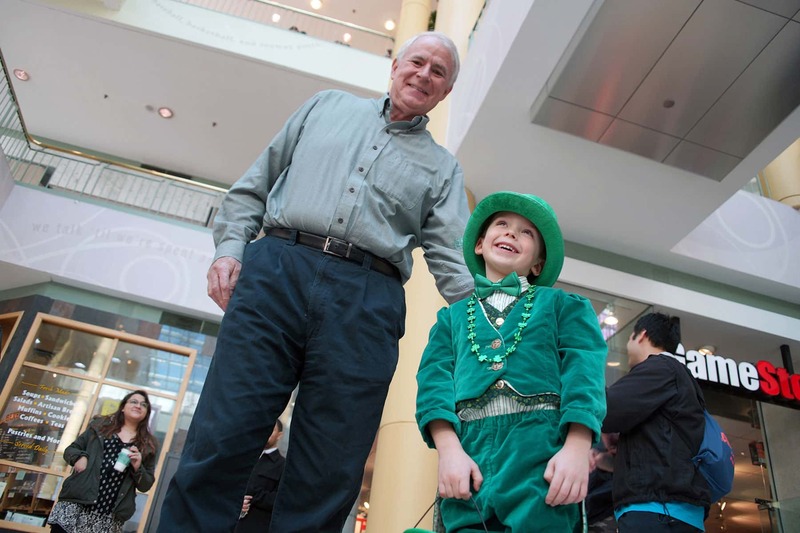 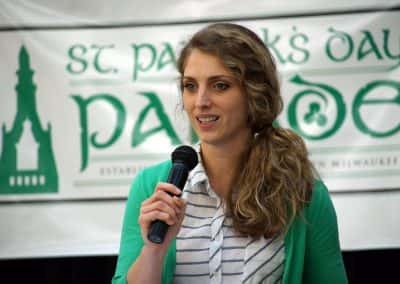 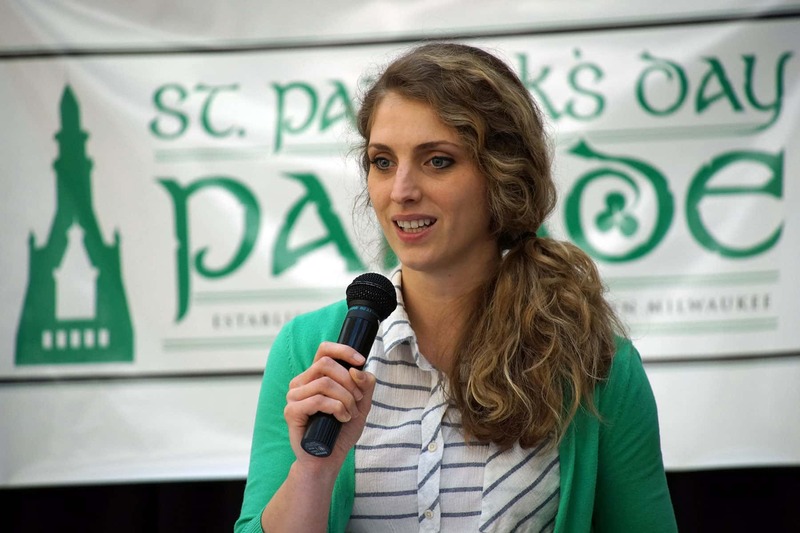 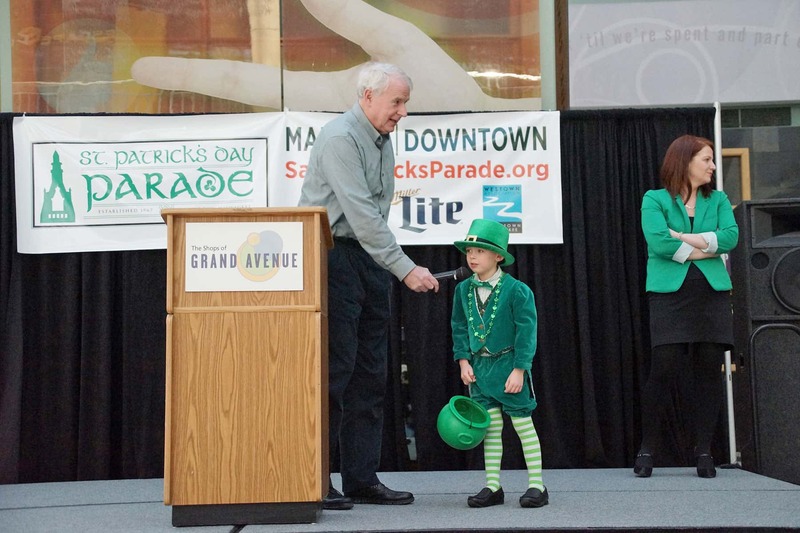 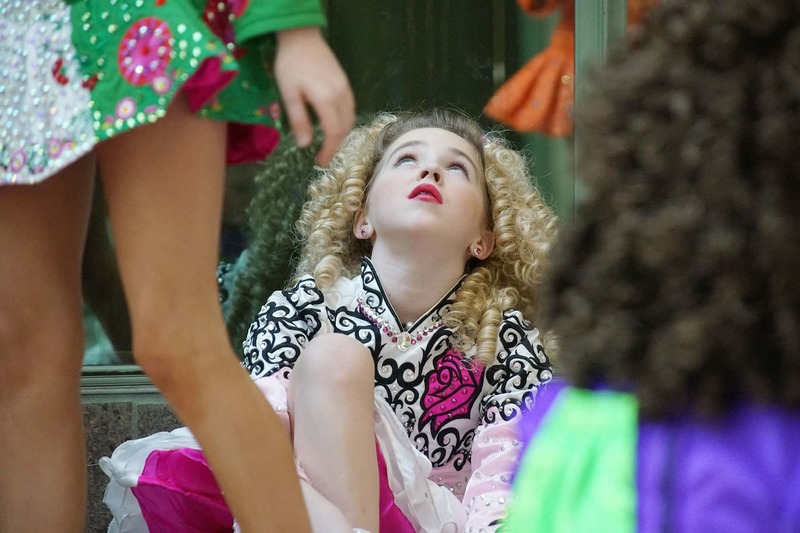 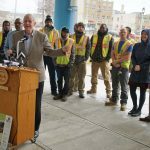 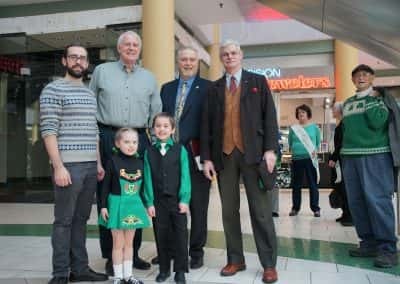 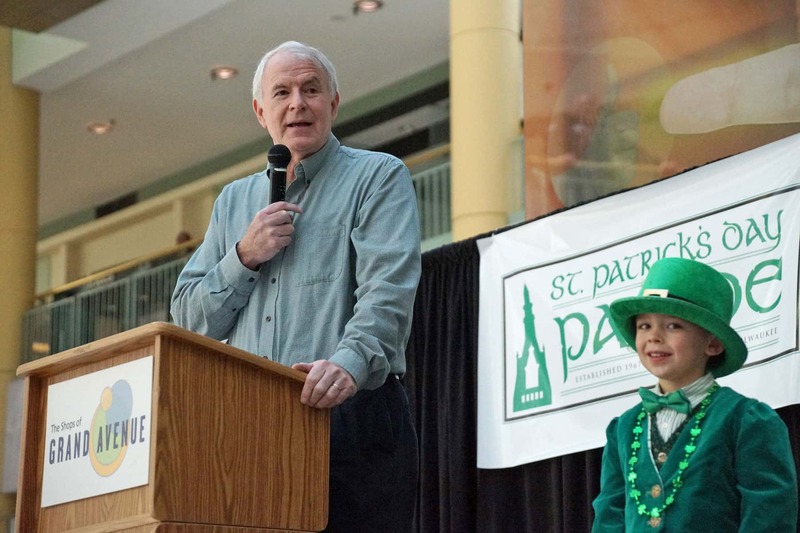 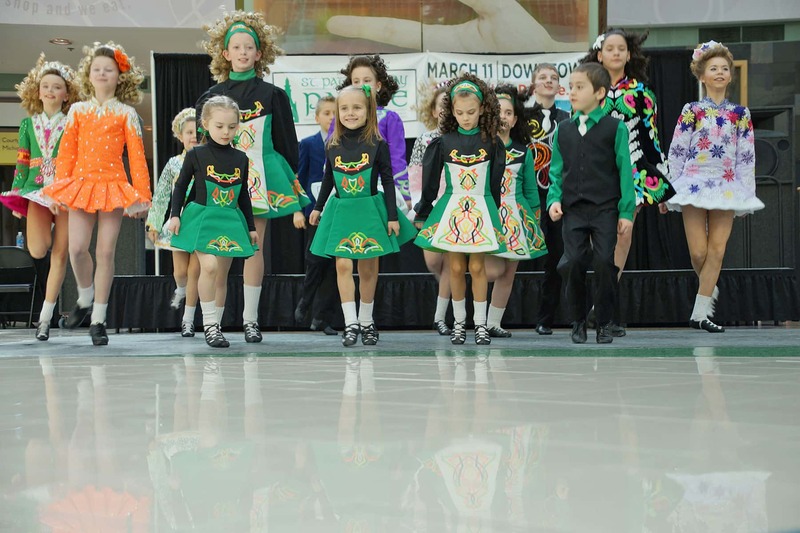 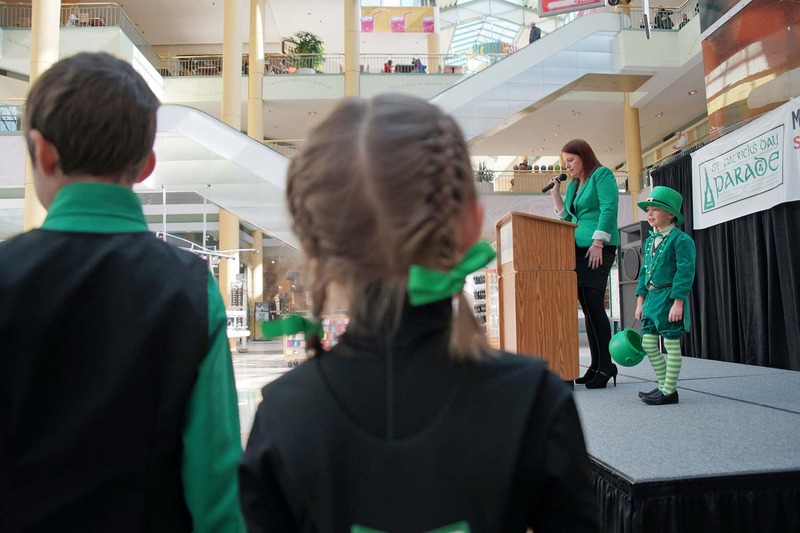 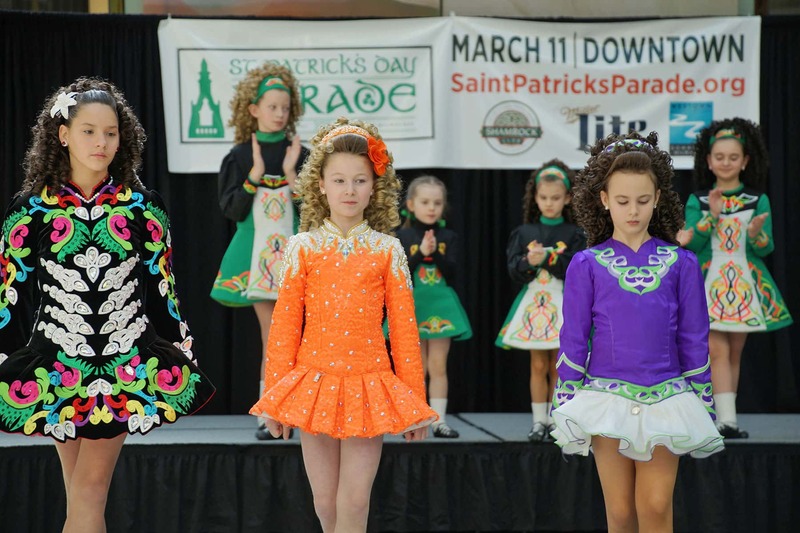 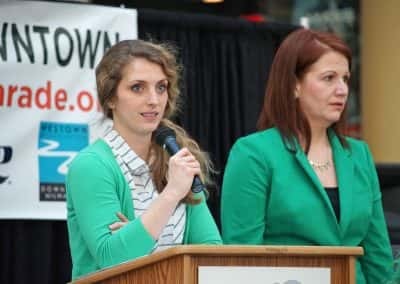 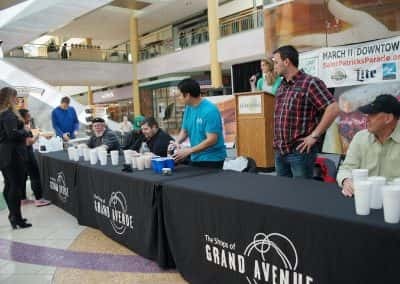 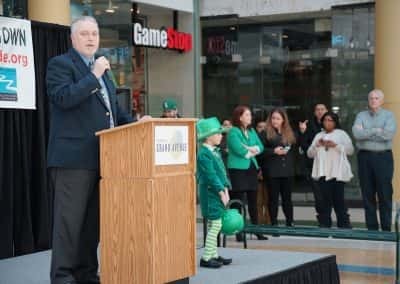 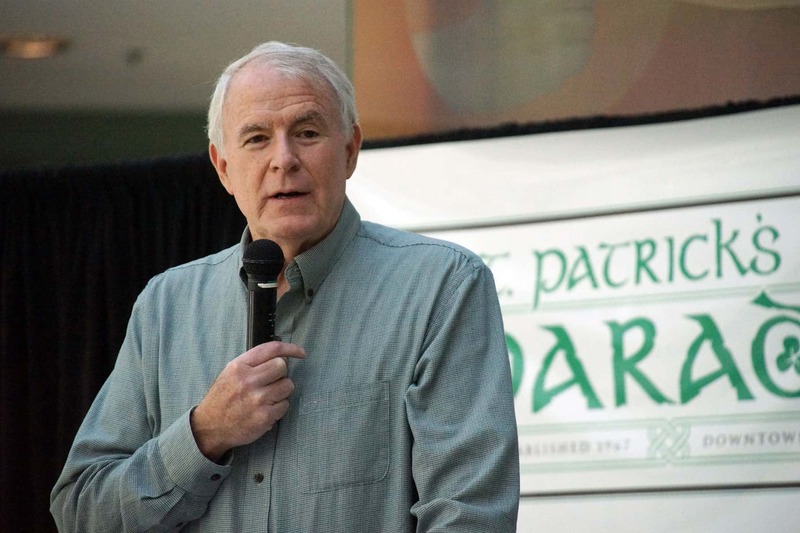 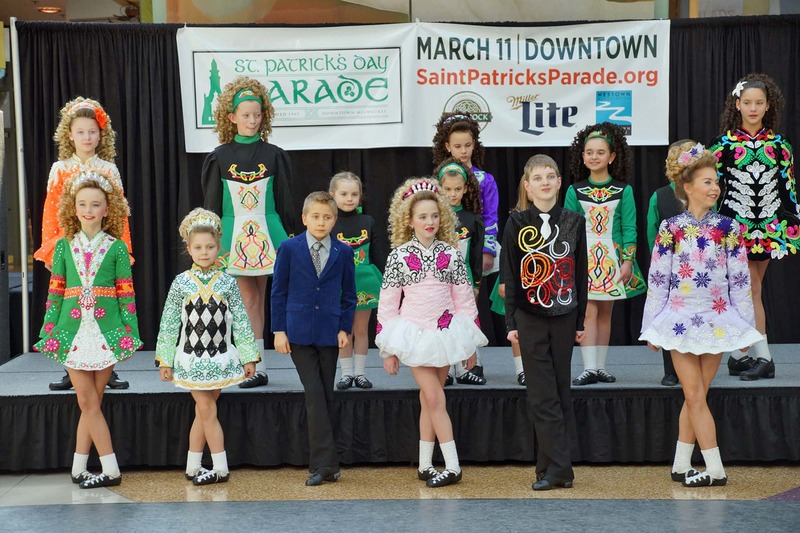 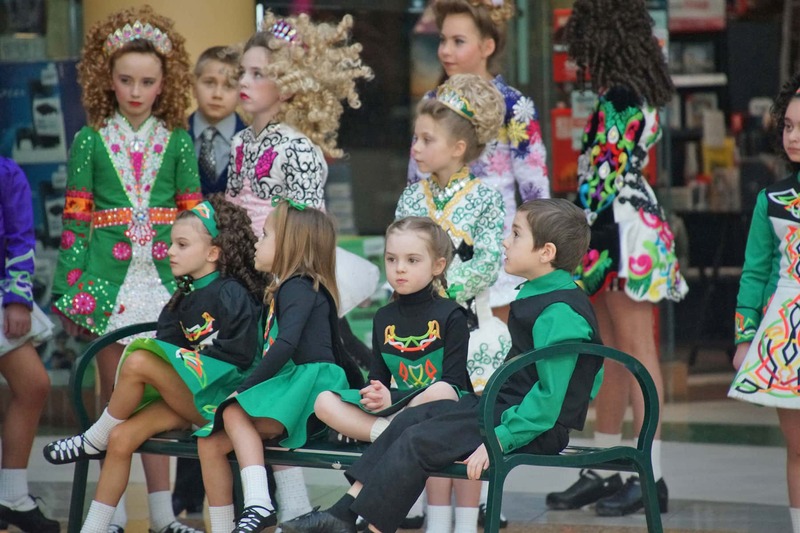 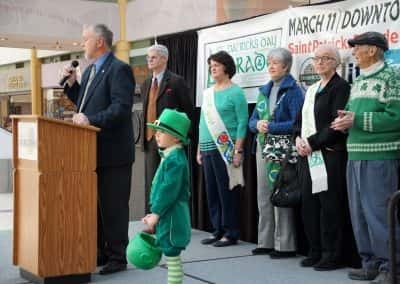 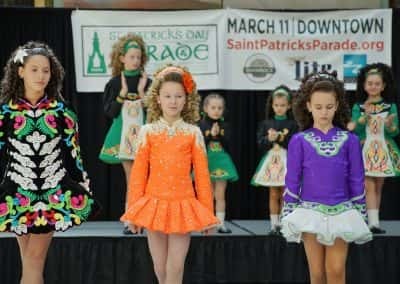 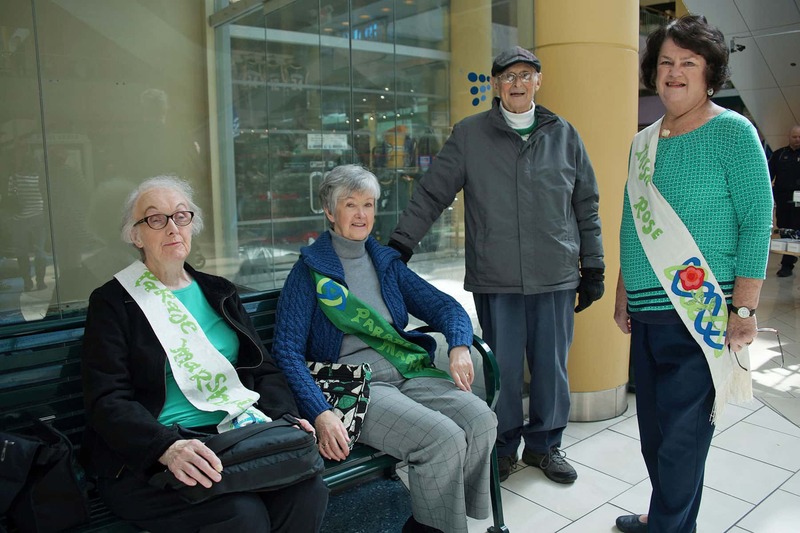 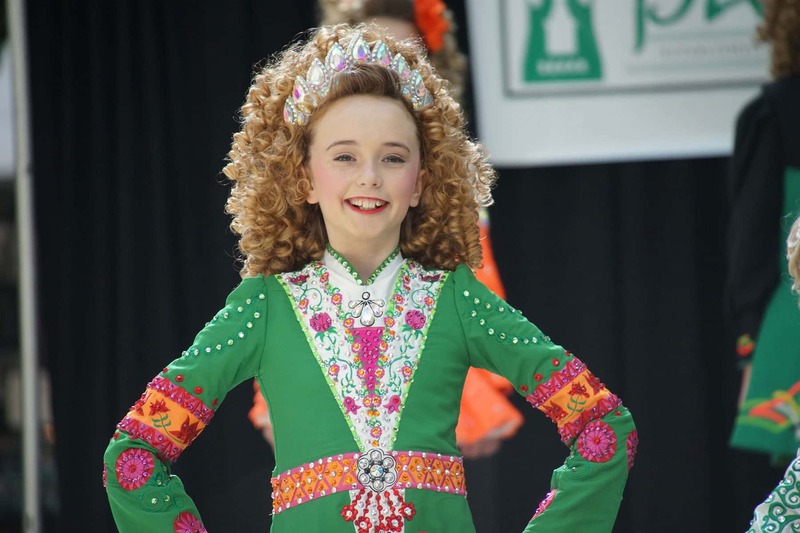 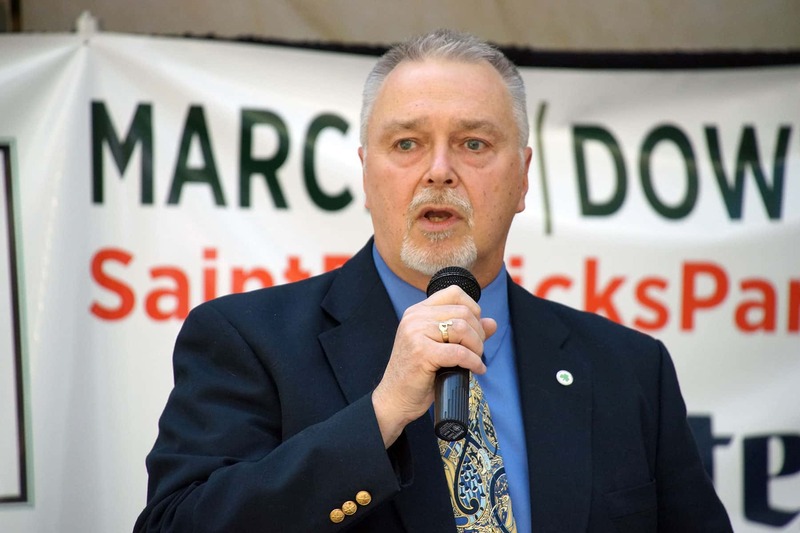 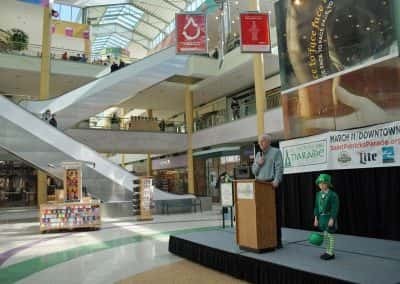 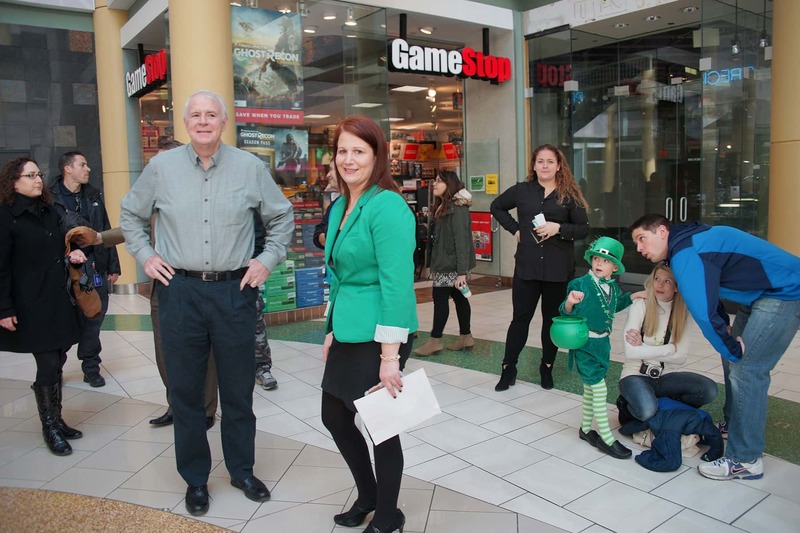 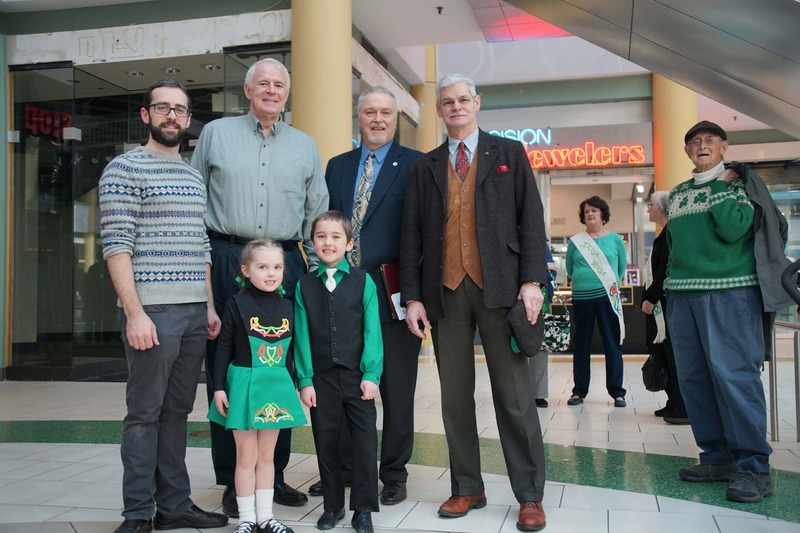 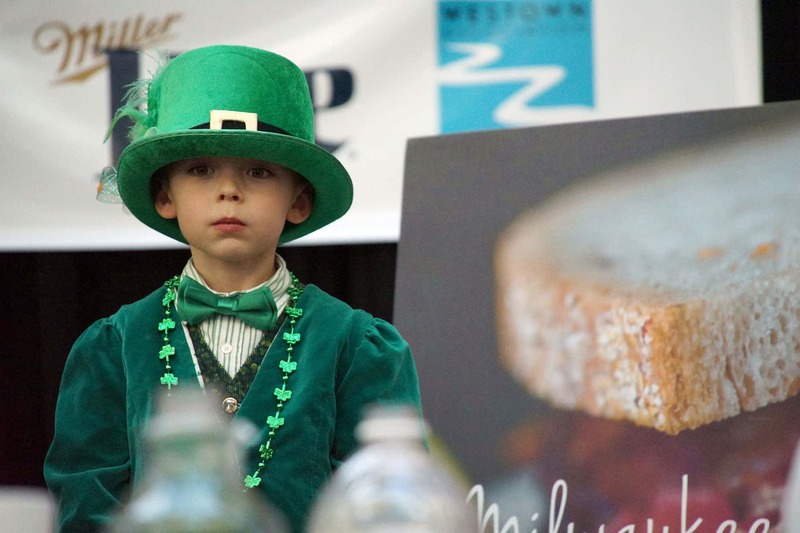 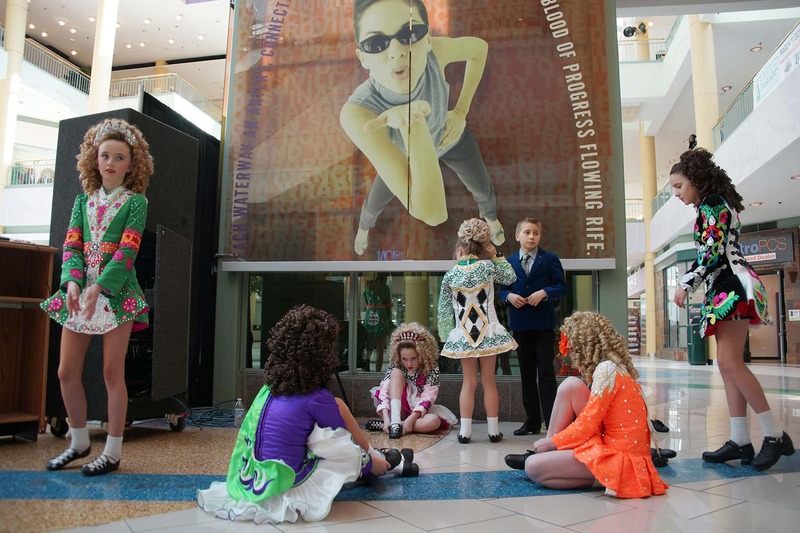 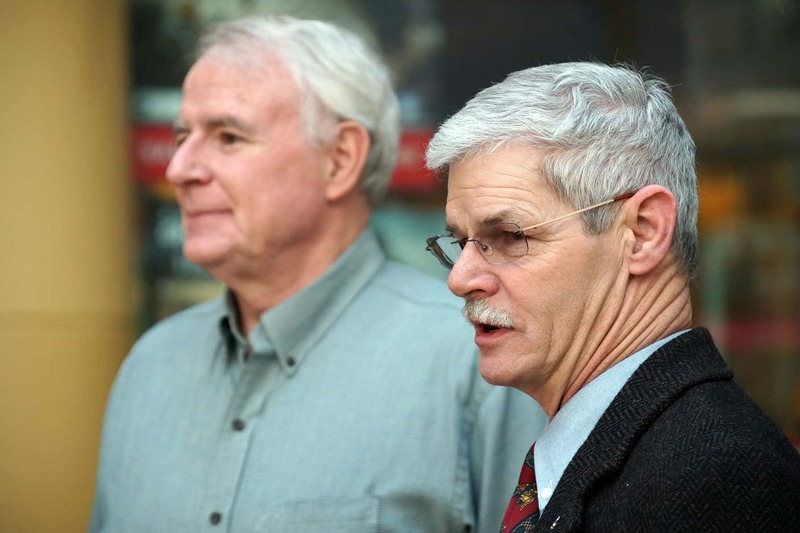 Held at the Shops of Grand Avenue, the event followed the 51st Annual St. Patrick’s Day Parade Press Conference with Mayor Tom Barrett and executive director of the Westown Association, Stacie Callies. 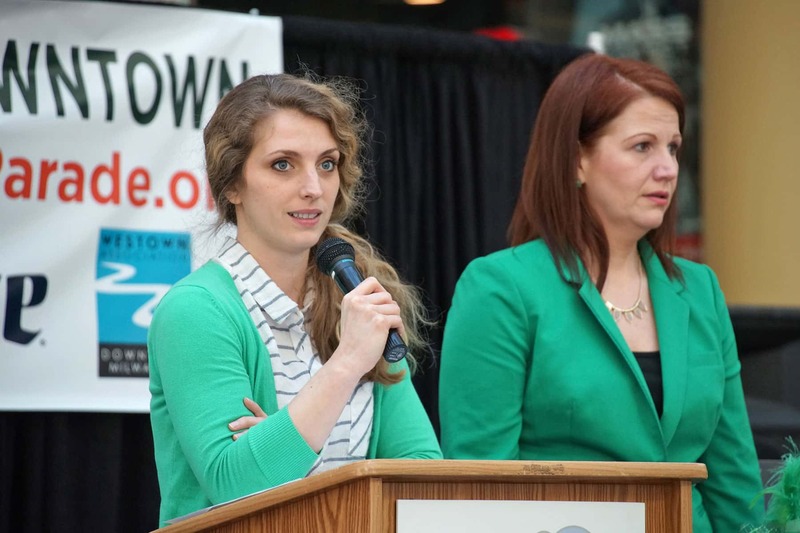 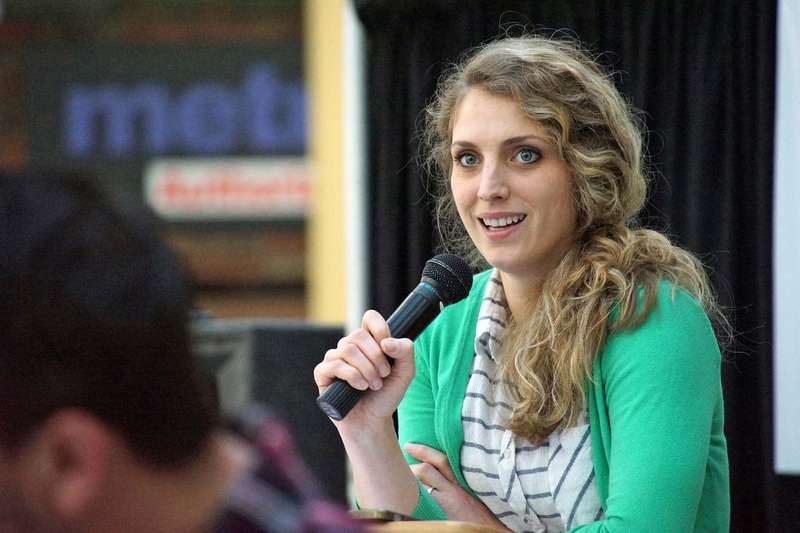 Angela Damiani, CEO of NEWaukee, moderated the competition for a second year. 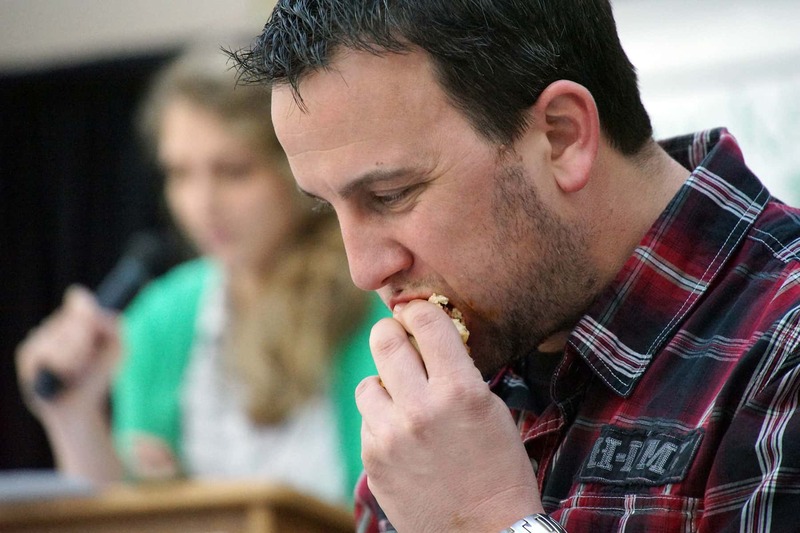 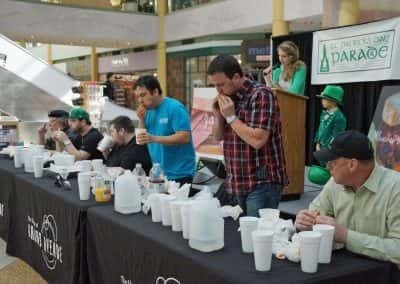 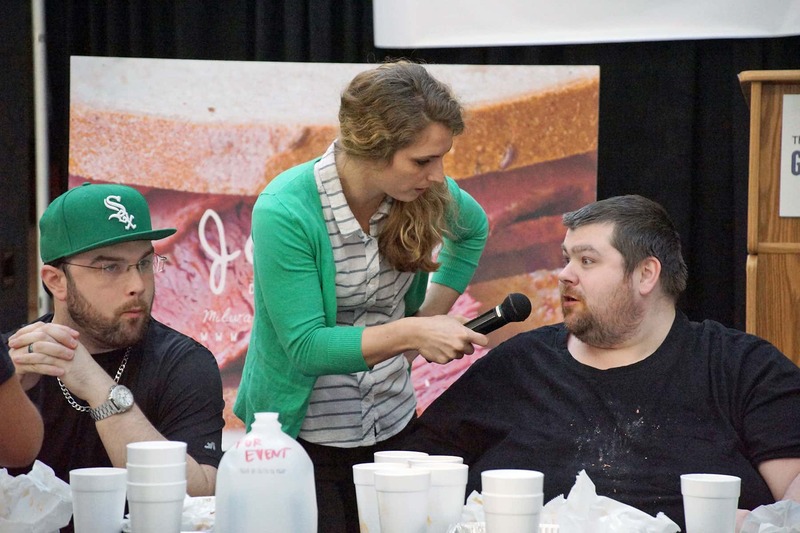 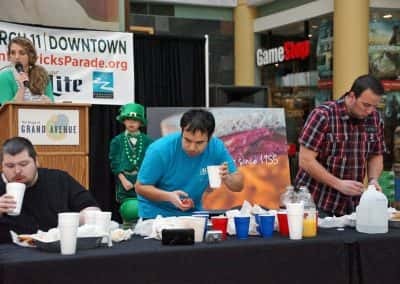 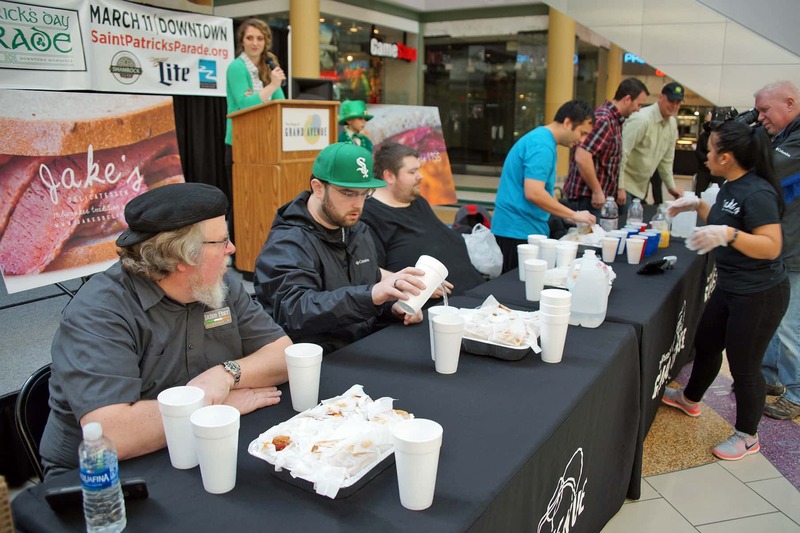 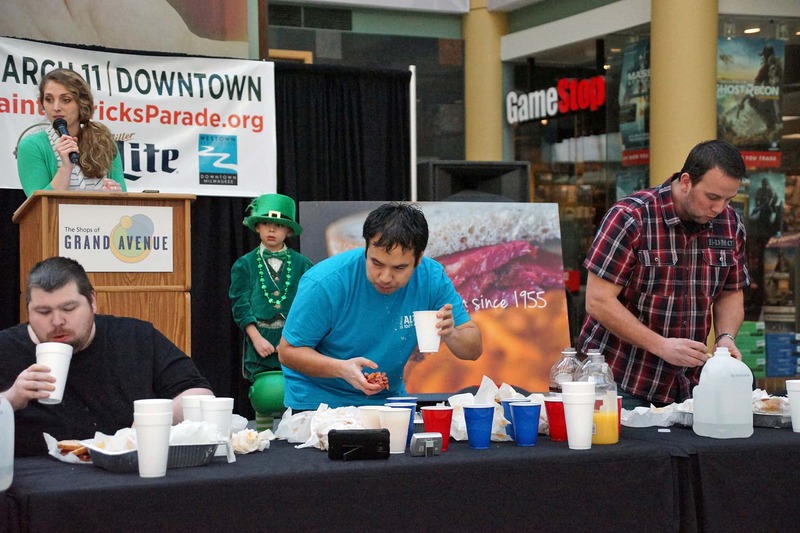 Six contestants competed to see who could eat the most corned beef sandwiches from Jake’s Deli in the allotted time. 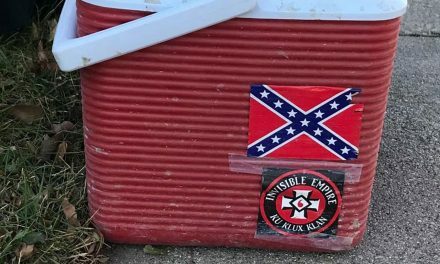 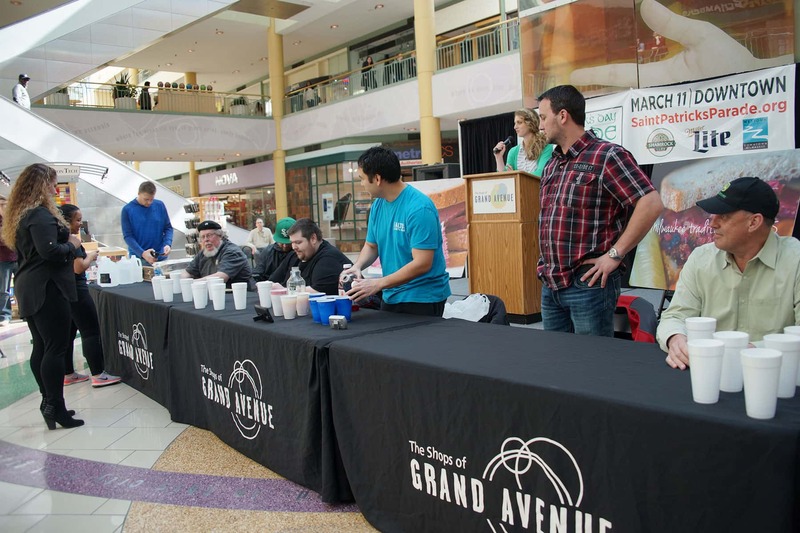 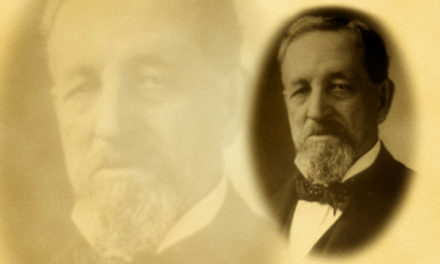 Each sandwich weighed a half pound, with ten sandwiches prepared per contestant. 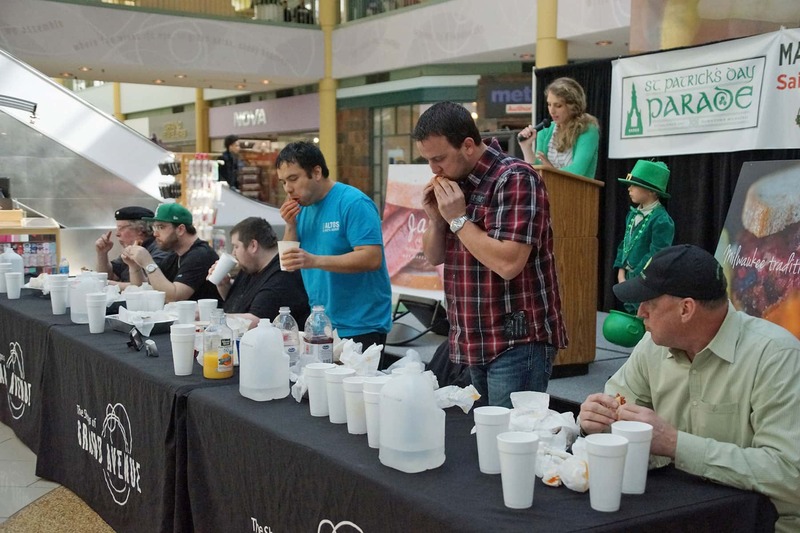 The winning total from 2016 was just over six sandwiches. 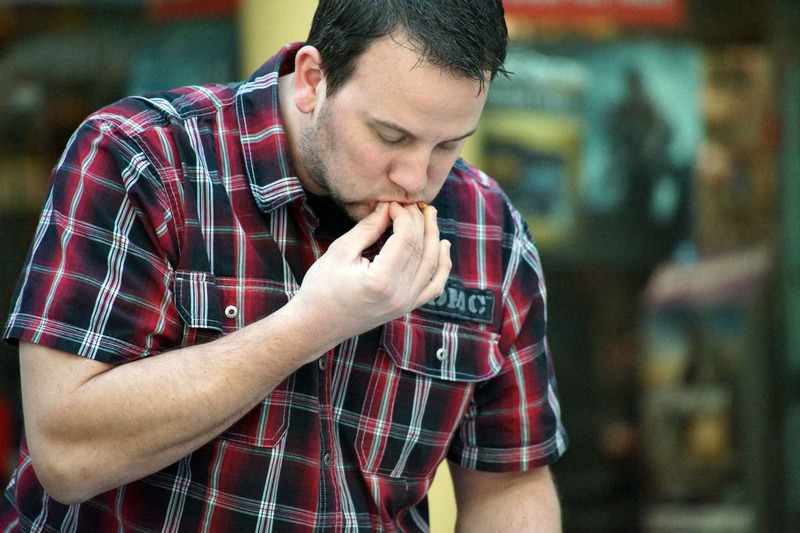 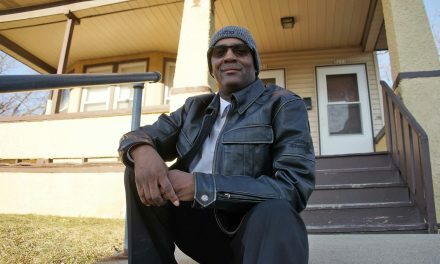 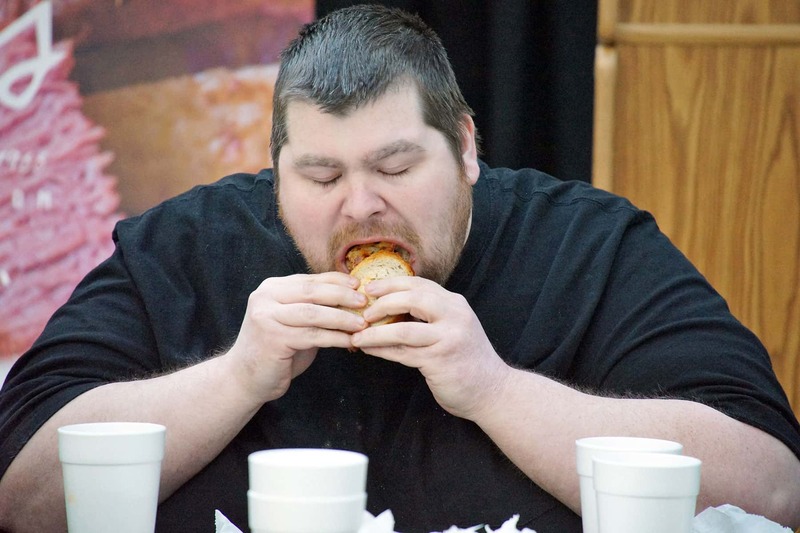 This year, Sean Nichols “got his title back” by eating 9 complete sandwiches. 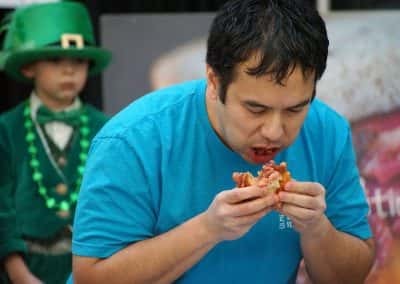 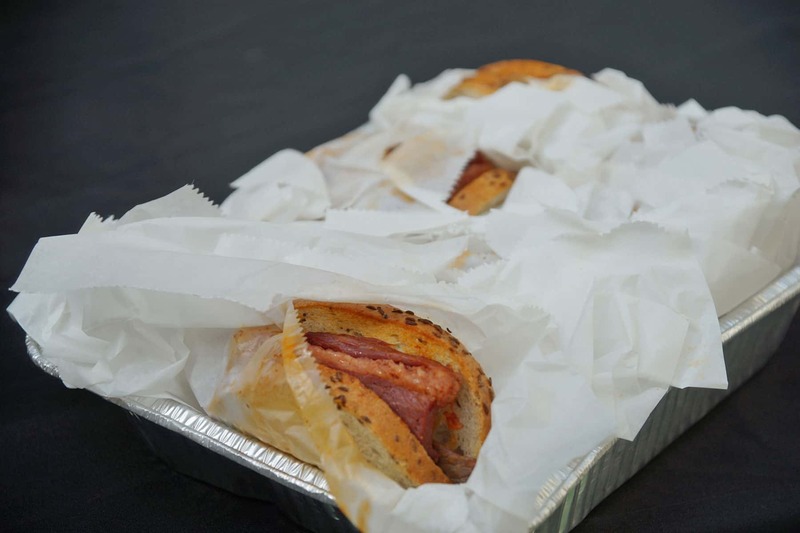 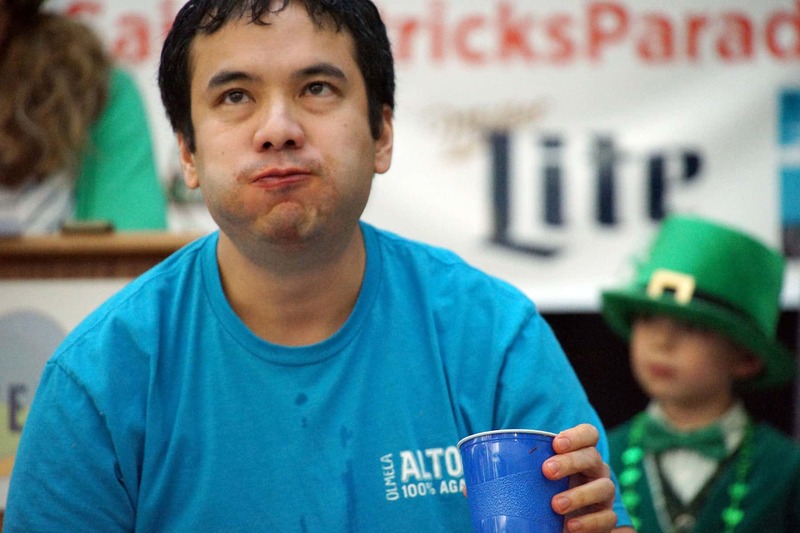 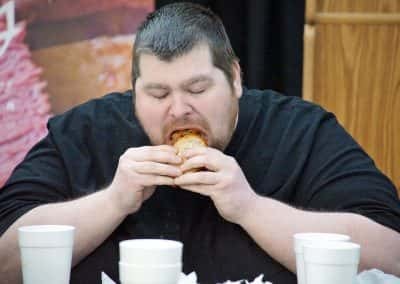 Nichols last won Jake’s Deli Corned Beef Eating Contest in 2012, and enters many food eating contests for the free food. 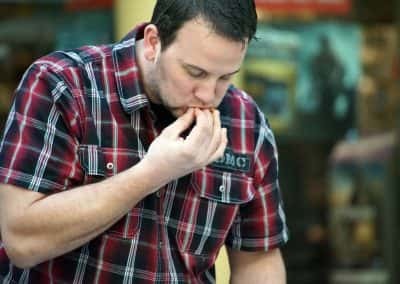 Ribs and wings are his favorite. 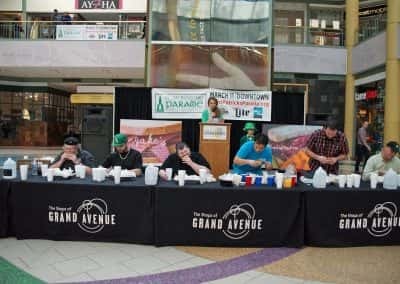 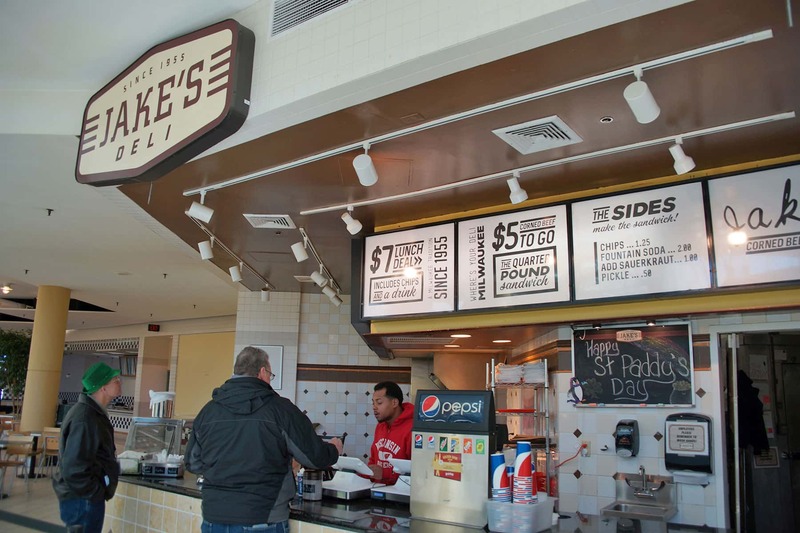 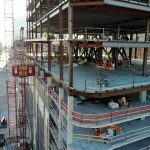 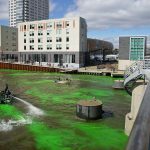 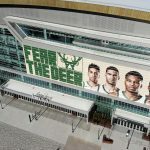 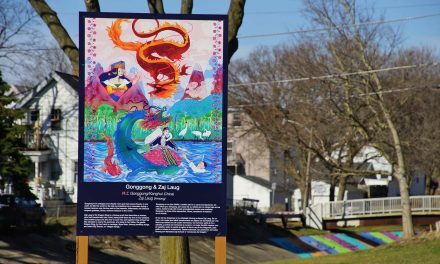 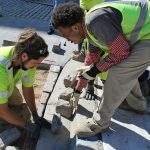 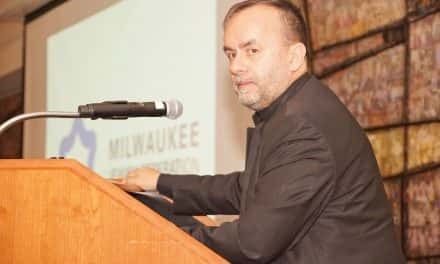 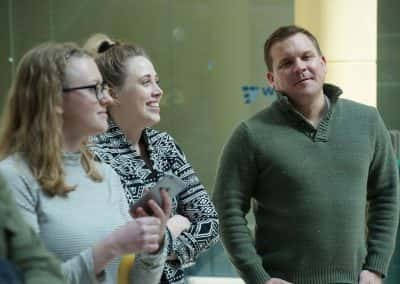 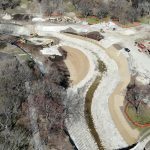 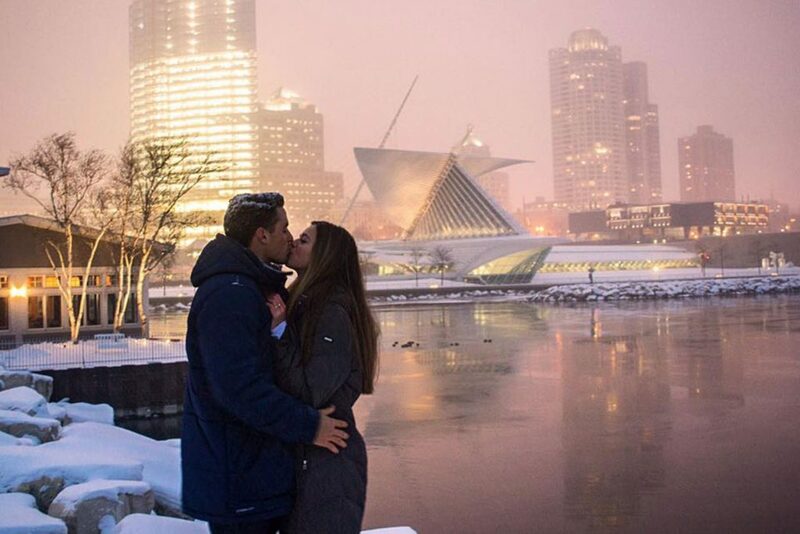 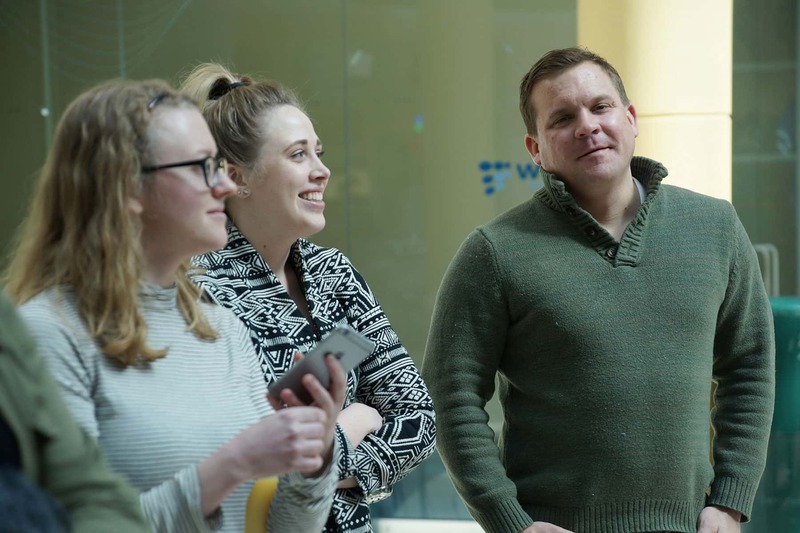 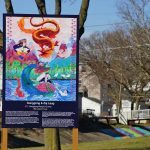 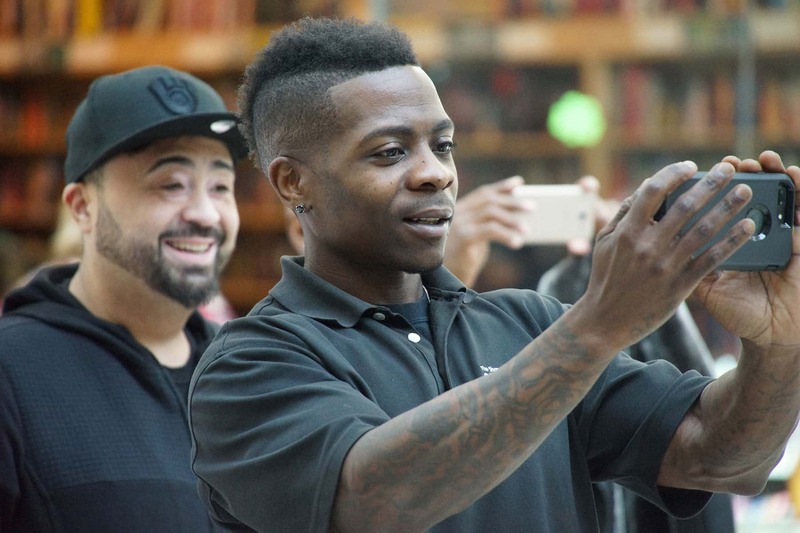 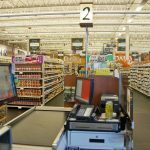 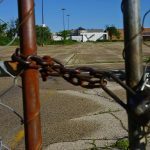 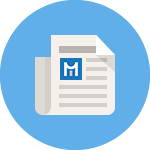 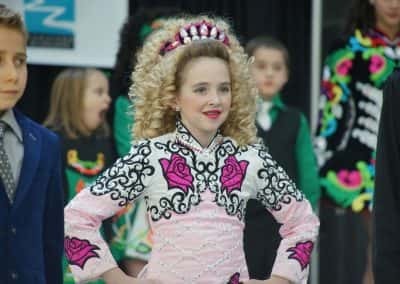 As the contest winner this year, Nichols took home a trophy along with a downtown Milwaukee prize package that included a one night stay at the Hilton, $50 Master Z’s gift certificate, and a Jake’s Deli gift card.